A place where community, collaboration, culture and character are cultivated. This was what Abdiel and Rosemary Ruiz had envisioned when they started planning to built a Professional Office Suite Building, in the city of Cedar Hill, Texas. This was a natural instinct, the reality is that both have been given a God-given passion and mandate to assist others (business owners and individuals) in setting their financial houses in order through teaching money management, stewardship and accountability. He has trained Entrepreneurs, non-profit leaders and smallbusiness owners how to effectively run their businesses and financial households with integrity, dignity and godly character in order to bring their spending, savings and surplus into alignment with the disciplines of faithful stewardship. 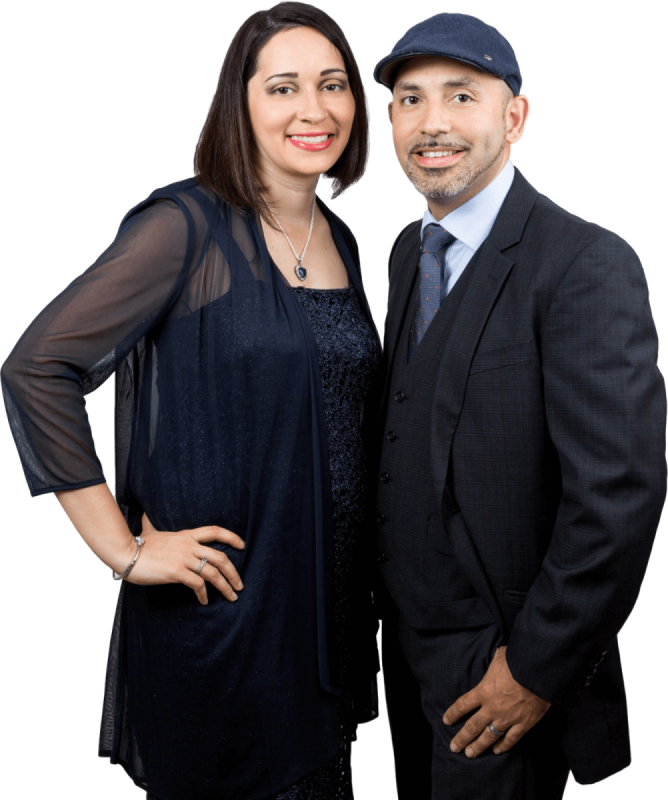 Both Abdiel and Rosemary Ruiz own businesses in Cedar Hill, TX. Mr. Ruiz is the founder/president of Ruiz Financial Solutions Ltd. Co. (bookkeeping, financial consulting and tax preparation firm) where he equips over 250 small business owners and/or individuals daily with the financial solutions to build their business and legacy with a solid financial foundation thus increasing profitability, growth and expansion. Mrs. Ruiz is the owner of Ruiz Insurance Services. Founded in 2013, Ruiz Insurance Services is a leader in providing quality protection for hundreds of individuals, families and businesses throughout our state. Her team focuses on providing superior customer service and low rates along with there ability to understand customer’s coverage needs is what drives the success of the agency. By offering world class protection for Auto, Home, Health, Business, and Life Insurance, they make sure that you're covered today as well as in the future so that you can focus on what is important to you and your family. They celebrate God’s blessings by joyfully raising Kingdom Champions and next generation leaders Jasmin, Victoria, Matthew, Madeline and Timothy. Mission Statement: "Empowering business owners and leaders to develop their strengths by providing access to educational experiences and resources."